Our PUBG guide to the best Assault Rifles in the game covers the AKM, M16A4, SCAR-L, AUG A3, Groza and M416. There’s a vast array of weaponry in PUBG, from Submachine Guns, to Pistols and even bulky Light Machine Guns. Many of them serve a very distinct purpose, with Snipers perfect for knocking down targets at long range, and Shotguns almost exclusively reserved for blasting enemies at close range. Whenever we’re out looting in the first few minutes of a match there’s a certain elation only reserved for when we manage to grab an Assault Rifle off the ground. It’s a real comfort, and that’s because these guns are the best all-rounders in the game, giving you the ability to dispatch enemies in pretty much any situation. On top of all this, they support a wealth of attachments which make them easier to handle and even deadlier in every regard. It's no wonder that having a fully kitted out Assault Rifle in your inventory is a staple in PUBG, and the go-to primary weapon in almost all cases. If you’re lucky enough to stumble into more than one Assault Rifle in a match, it can be very difficult to work out which weapon would better suit your needs at a glance. There are quite a few of these weapons in the game as well, which makes things even more confusing. Below we’ve rounded up all the Assault Rifles in the game, and outlined each of their strengths and weaknesses to give you an overall picture of which one you should go for if you're lucky enough to have the option! Keep in mind that all of the guns in this article have situational benefits. We've ranked them according to how well they perform in a number of scenarios, or how easy they are to handle overall. The AKM is a high powered Assault Rifle that takes 7.62mm ammunition and comes with some serious kick to match. No matter what tier armour your target is wearing, the AKM will kill them in only five shots. What’s more, it’s capable of taking out an enemy donning a max level helmet in only a couple of shots. It’s low bullet velocity in comparison to many other Assault Rifles means that it starts to suffer at long range. We wouldn’t count it out completely though, as you can still stick all manner of scopes on it and fire away at enemies in the distance with devastating results - it’ll just take some time to master. As a very quick note of advice, we'd recommend tapping the trigger with the AKM as it'll be far easier to handle when firing in small bursts. 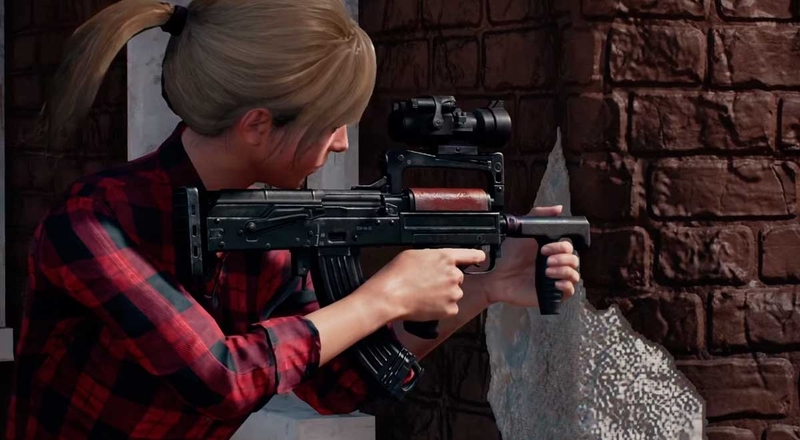 While it may not be friendly to newer players, battle hardened PUBG players often find great success with this weapon due to its sheer damage output when spray-controlled. Perhaps the most common Assault Rifle drop in PUBG, the M16A4 isn’t one to be underestimated or cast aside simply because you’ll find it frequently - it’s actually really good! The M16A4 is an exceptionally stable weapon with minimal recoil, and it also has one of the fastest bullet velocities in the game. This makes it by far the best Assault Rifle for spraying down enemies in an instant, or dinking opponents in the distance. While it may not have an auto-fire mode, burst fire can be even more devastating in close combat as the delay between bursts is exactly the same as the delay between individual shots. This means that, technically, it’s got the fastest firing rate of all the Assault Rifles. Unfortunately, the M16A4 only accepts up to a 4X scope, which can limit its use as a long range weapon. Despite claims that this weapon has the lowest stats out of all the Assault Rifles, we’ve found the SCAR-L to be a mighty fine weapon. It’s definitely one of the easiest weapons to control while firing at full auto, and with some attachments bolted on it only gets better. One of its major downfalls though is it’s awfully restrictive iron sight. It's truly dreadful when targeting moving enemies, and unless you pick up a Red-Dot Sight or better the SCAR isn't going to serve you well at all. Overall the SCAR-L's a decent weapon when it's rocking every attachment, but pretty unremarkable in its raw state. The AUG’s another Assault Rifle that’s only found in Crates and it’s got a completely different set of strengths and weaknesses to the Groza. For the most part though, it’s simply less unique-feeling and functions more like a standard Assault Rifle. This will definitely suit more players. From what we’ve gathered, it’s got a decent fire rate and brilliant accuracy when the first few bullets are sent whizzing out of the barrel. It can also support all manner of attachments, which makes the AUG a versatile weapon that can dent targets at both close and long range. 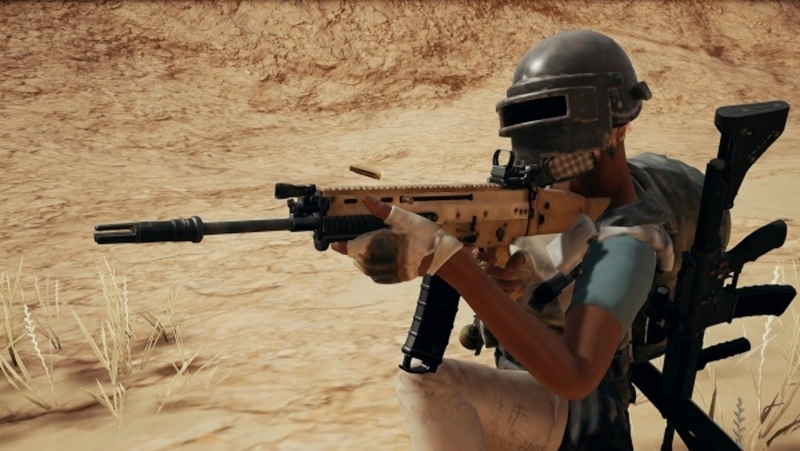 While it’s certainly one of the strongest Assault Rifles in PUBG, we’re not sure it provides anything that other 5.56mm weapons like the M416 or SCAR-L don’t offer. Honestly, we expected a little more from this Crate exclusive and that's why it's not in the top two. A rare weapon that’s only found in Crates, the Groza’s a brute that spits bullets at such a furious pace it practically grinds its enemies to death. Think of it as a pseudo-Assault Rifle that’s got the firepower of an AKM (another Assault Rifle we’ve detailed below), paired with a Micro-Uzi. It’s certainly the most powerful Assault Rifle that's currently in the game, but that’s assuming you’re well within range of your target. Start firing off at an enemy who’s strafing in the distance and you’ll be lucky to land a single hit. The Groza’s got some other pretty obvious flaws too, with the lengthy reload time of 3 seconds (without a Quickdraw magazine) that can leave you vulnerable if caught unawares. It’s also got a distinct lack of attachment slots too, so taming the beast can take some practice - especially as it’s such an uncommon drop. The ultimate all-rounder, a fully kitted out M416 has extremely solid damage per second (DPS), stability and rate of fire. It’s also one of the easiest guns to control in terms of recoil and it supports both single and auto-firing modes - perfect for close quarters engagements and long range skirmishes. The only slight negative we can pinpoint is its unremarkable status when it has no attachments. In an unmodified state, it lags behind every other Assault Rifle when it comes to bullet power - the stat that governs how much damage it does to unarmoured targets. This makes it weaker than the rest in the first few minutes of a match, but survive long enough to equip some attachments and it’ll power up nicely.